I've been working on some scratch-built cultists for the Strange Aeons Cthulhu mythos skirmish game. These are made from GW Skaven Plague Monks with putty hoods & their tail cut off to use as the face tentacles. Now I feel like the Farmer's Wife. I also bought some of the Mantic Games Veer-Myn tails from an online bits shop, so some of the cultists could have more than 1 tentacle. This idea of using Skaven for cultists & cutting of their tails came from Kid Kyoto who posted it on The Miniatures Page a few years ago. My only disappointment in making them is that I used GW's new Earthshade wash for the 1st on them, & it turned out way too dark on in the folds & bottom of the robe. Next up will either be my zombie-cthulhu mash ups, or some very unique figures for use as swarms or vermin. 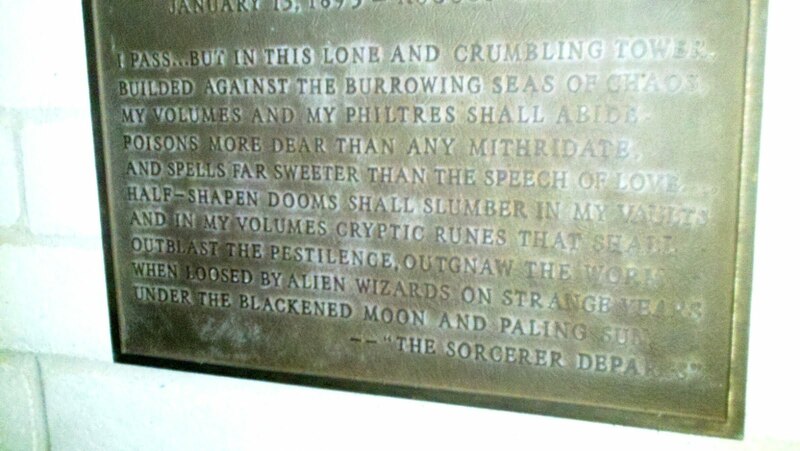 I have been an HP Lovecraft fan for a long time. 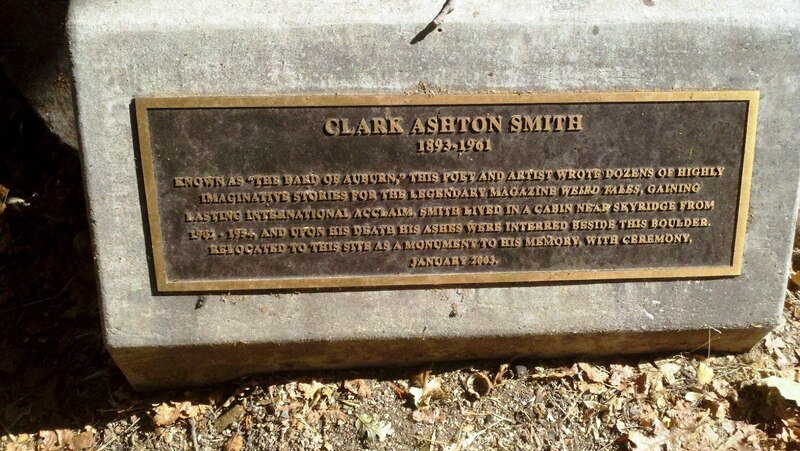 & after a while of reading & hearing about his work, I also started hearing about a contemporary & close friend of his, Clark Ashton Smith. But it wasn't until the excellent Double Shadow podcast started that I got around to reading Smith's stories. Clark's stories, while some of them share a similar subject matter, are very different from Lovecraft's, & I'd highly recommend checking them out. Some, if not all, of his short stores are available at the Eldritch Dark website. 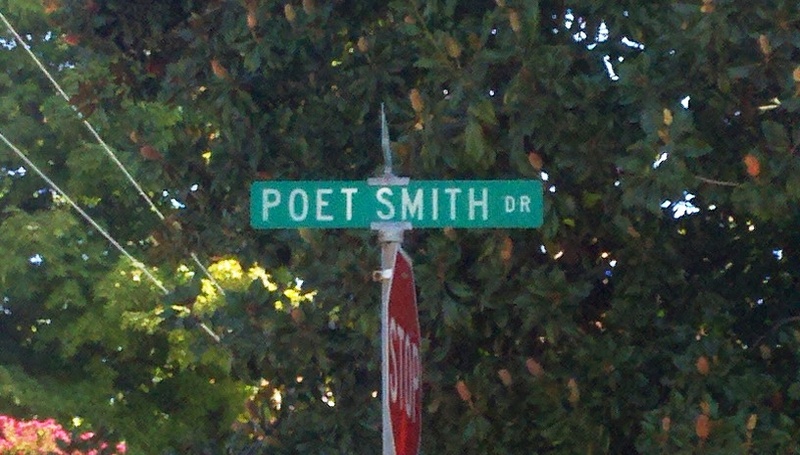 I recently found out that Smith spent most of his life in Auburn, California, about 30 miles from where I live. So I took a trip up there to find the various memorials that have been put up in his honor. & since it took quite a bit of internet research & contacting the Auburn City Council to track them all down, I figured I'd try to provide a guide to them too for anyone else interested in finding them. 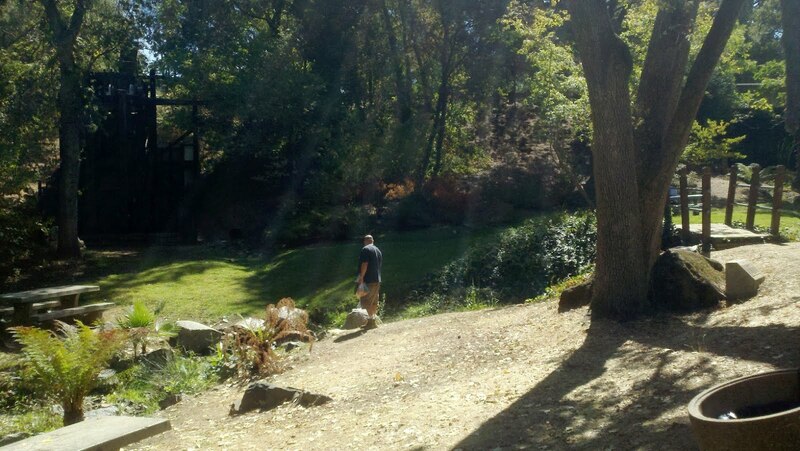 My 1st stop was in a small park area, I believe referred to as Centennial Park, in Old Auburn just off the Maple St exit from I-80. 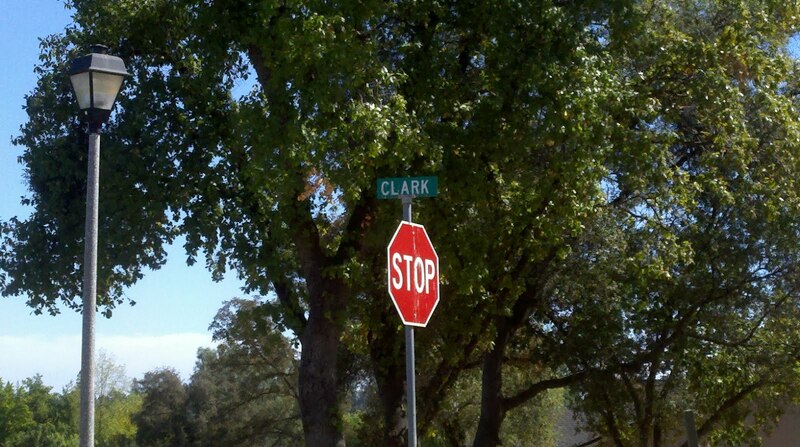 It's in the block bounded by Lincoln Way, Sacramento St & Auburn Folsom Rd. There's a public parking lot off Lincoln that's next to the Placer County Law Library. 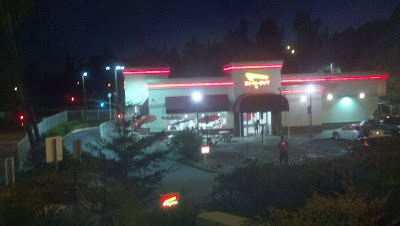 At the far end of the lot, is the small park. Here is the small park from the end of the parking lot. 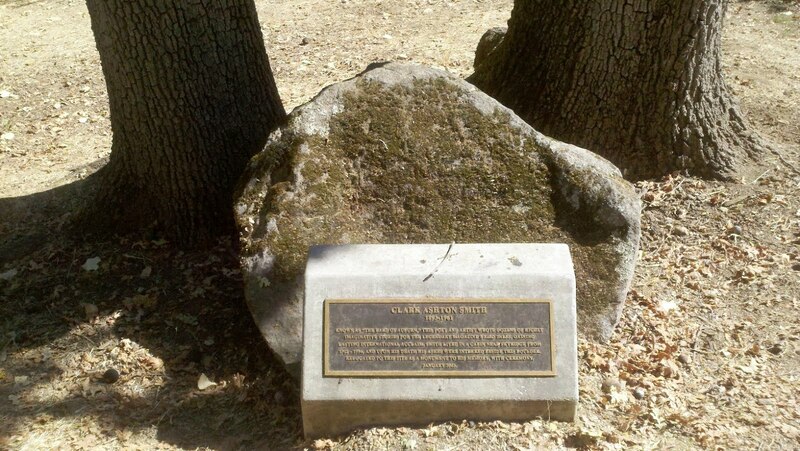 You can see the side of the boulder & plaque on the right of the picture. 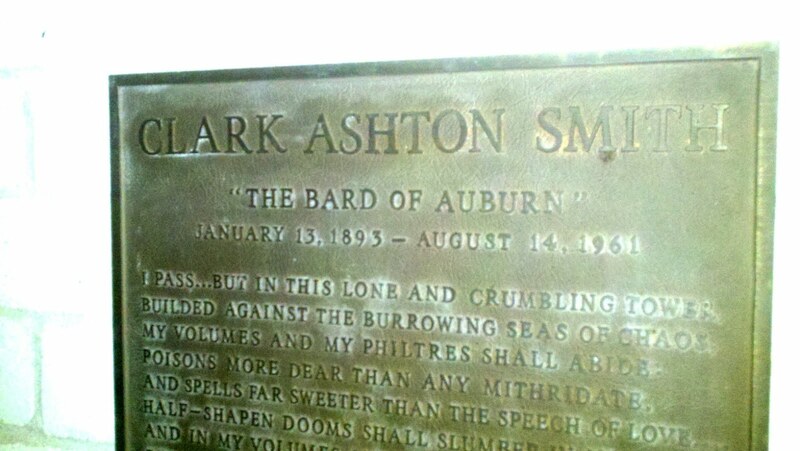 & here is a close up of the plaque. When urban development threatened Smith's burial site, some of friends & fans, & the City of Auburn moved the boulder & some of the dirt around it, to this spot. 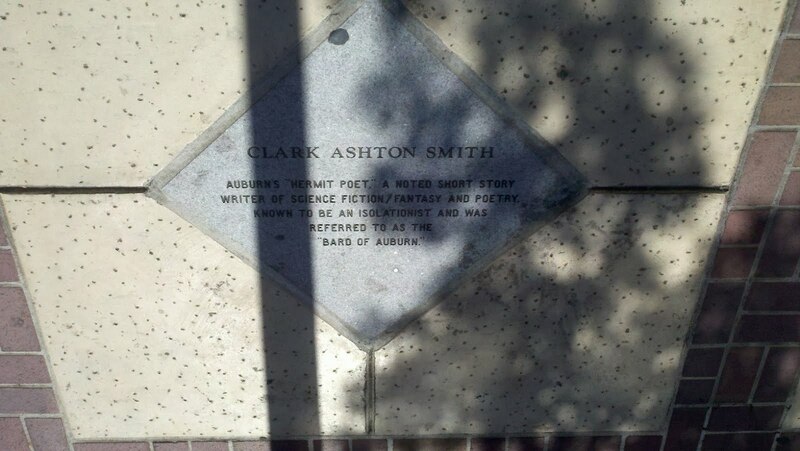 If you continue down Lincoln Way to its intesection with High St, you can find another commemoration in Auburn's downtown central Square. The sidewalks around the area have diamond shaped engravings listing Auburn's famous citizens & their accomplishments. Smith's is on the Northwest side of the intersection in front of the Masonic hall. My next stops were to track down the 3 streets that I believe were named after him (at least 1 definately was). These were easily found via online maps. 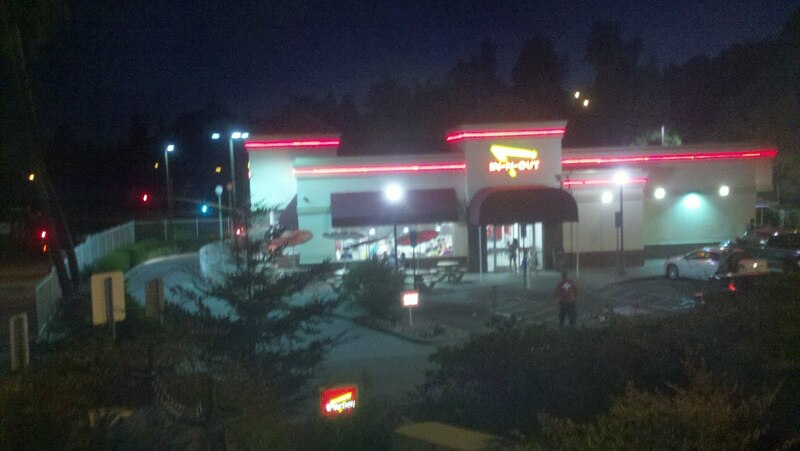 When I contacted the Auburn City Council, they said there might be a plaque in the parking lot of their local In-N-Out Burger. 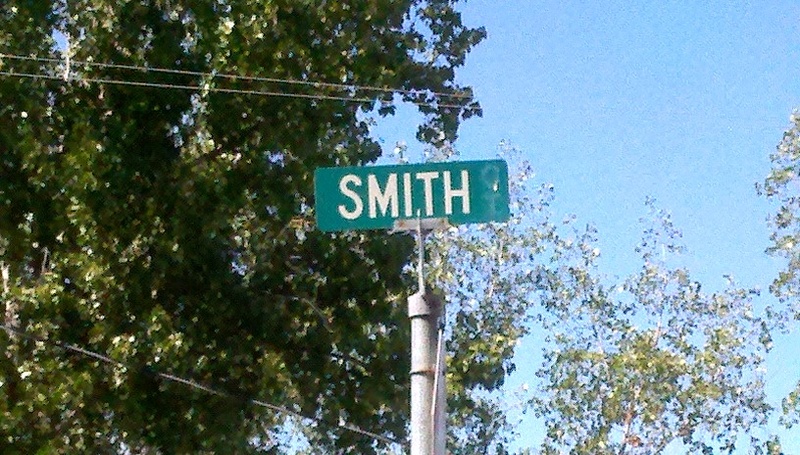 They didn't say why, but I guessed it might have originally been the site of Smith's cabin. 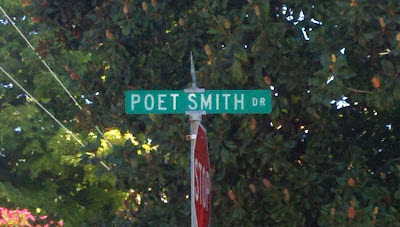 I didn't find a plaque for him there, but did find a plaque commemorating another local resident said he'd own the property. Maybe the other resident was one of the owners before Smith's parents built their cabin. My final stop was at the Auburn Placer County Library. 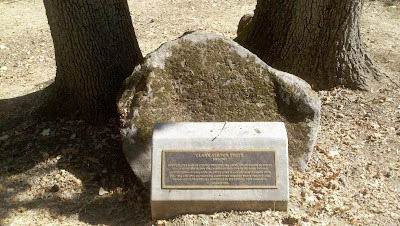 This plaque was added in 1985. 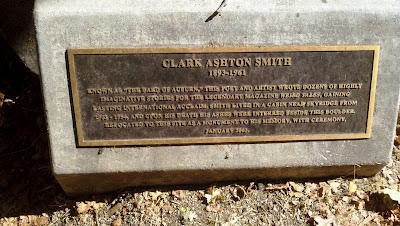 The plaque is in a small courtyard to the right of the library's main entrance. Since it was already night by the time I got to this one, I had to get very close to the plaque for my flash to illuminate it enough to read it. That's why its split into 2 pictures. The trip was an enjoyable diversion into the life of a very interesting author. All the sites I visited were pretty close together, so it would probably take about an hour to visit them all.